A.R.T. New Year Celebration | A.R.T. The American Repertory Theater and the Harvard Ed Portal welcome you to the A.R.T. 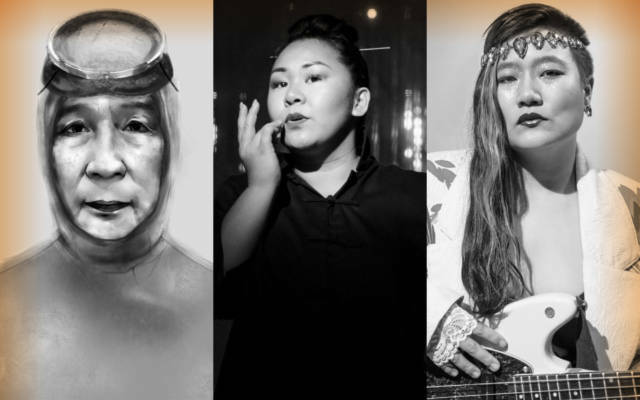 New Year Celebration, a day of performances, workshops, and community inspired by A.R.T.’s upcoming productions of Endlings, Dragon Cycle, and Clairvoyance uplifts the voices of Asian-Pacific Islander (API) artists. Join A.R.T. artists Celine Song (Endlings playwright), Sara Porkalob (Dragon Cycle), Diana Oh (Clairvoyance), as well as local artists Ally Ang (poet), JiSun Lee (visual artist), Julia Riew (composer), Michael A. Rosegrant (spoken word), and Yun Thwaits (traditional Chinese instrumentalist) to celebrate a new year of art in Boston. The event is free of charge and all are welcome. Workshops will be held 3PM – 4:30PM. Performances, food, and dialogue continue 5PM – 7:30PM. The Harvard Ed Portal is an innovative collaborative partnership for members of the Allston-Brighton and Harvard communities to come together to share ideas and learn from one another. Storytelling and Activism: What’s Your Truth? Storytelling is one of the most rigorous tools we have to fight oppression and social injustice. This workshop provides accessible creative strategies for individuals interested in pairing activism with their specific practice via storytelling. In partner and individual exercises, we will engage in a series of fast-paced written and performative content generative prompts. You’ll learn how to create a dynamic physical world out of nothing and play multiple characters, all the while using YOUR unique strengths and truths to engage your audience towards a shared goal. Participants will need something to write with, something to take notes with, a water bottle, and comfortable clothing. In this workshop, participants will create colorful magic dragon eggs, covered in jewels, stones, and other magical items, as well as kid-safe magic glitter slime. We’ll also talk about our own “magical powers”—what makes us, our families, and our cultures special. Celine Song’s new play follows three extraordinary women both on land and underwater as they swim beneath the waves and reach beyond the shores of their tiny island. Virtuosic performer Sara Porkalob returns with Dragon Lady, and turns her attention to another chapter of her family’s history in Dragon Mama. The Harvard Square Business Association presents the 13th Annual Chinese New Year Celebration in Harvard Square.